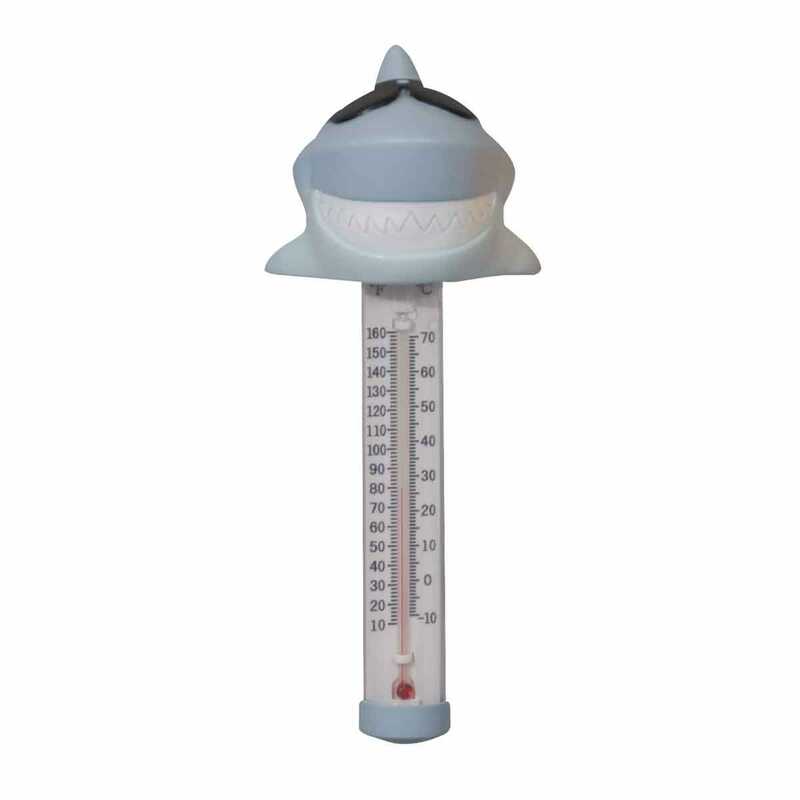 The Surfin' Shark Thermometer brings a splash of fun to your usual temperature reading. The Surfin' Shark floats for easy usage in your pool or spa. The temperature can be read in either Fahrenheit or Celsius. This great floating thermometer provides clear, concise and precise water temperature readings. The cool shark top makes it easy to spot in the water, but don't worry, he won't bite. Measures 3 1/2” dia. x 9”h.